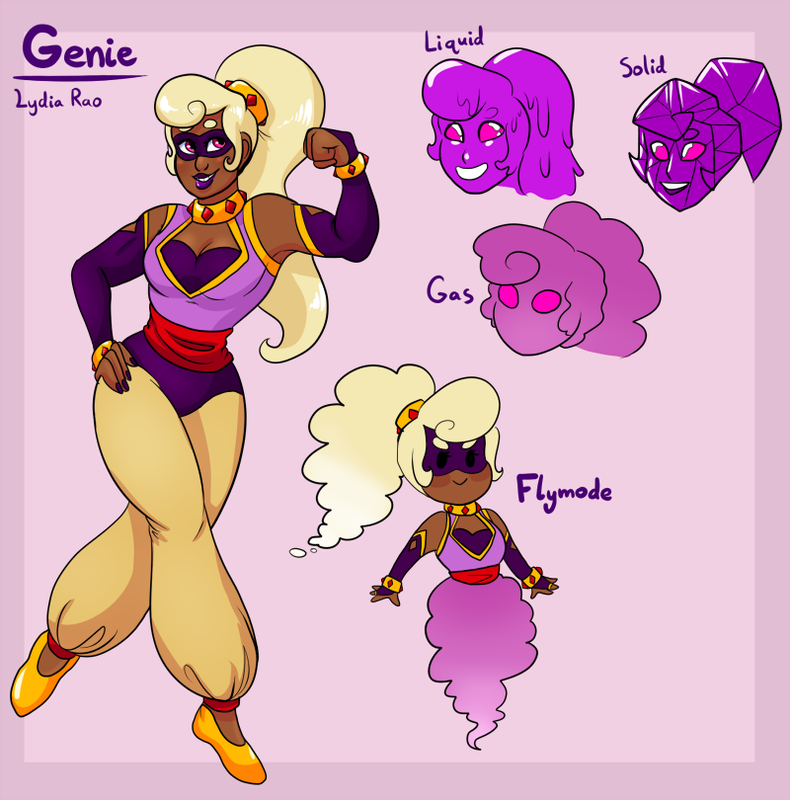 Abilities: Shifts the state of matter in her own body, and non-organic materials, between liquid, solid, and gas. (So she melts, solidifies, and evaporates non-living things and herself.) In solid form, she's hard like a rock and uses this to do more damage in fights. In liquid form, she can slide through small spaces and absorb impact from falls. In gaseous state, she can float around to where she needs to get to. Personality: Lydia is bubbly and personable to most people, but can come off as stuck up from her need for attention. She's very stubborn when she sets her mind to something and won't give up easily. Bio: Lydia got into the heroing business mostly for attention. She does care about the people she helps but she also wants to be recognized, maybe even become a famous hero one day. She has been dealing with small time criminals for a while but has decided to move out of her beginner phase to try taking on more dangerous criminals and people who could be considered supervillains. When not heroing, she sews costumes and custom clothing for a living.